Seeing the world requires leaving the comforts of home — including making that first cup of coffee in the morning just the way you like it. 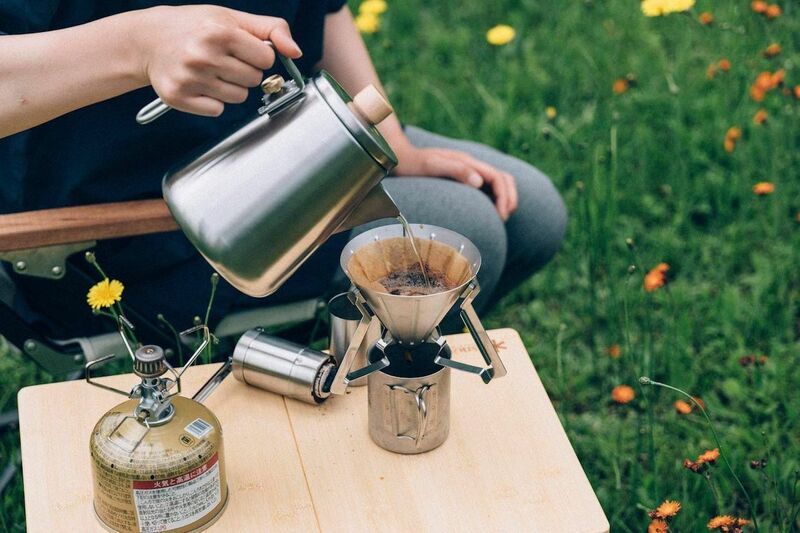 Thankfully, there are all sorts of items that you can take with you when you travel that help keep your coffee game strong. Here are eight of the best coffee accessories on the market, perfect for any on-the-go coffee addict. Sometimes you’d just kill for a real espresso, but you’re in the middle of nowhere, there’s no electricity, and bringing an espresso maker with you everywhere you go is definitely not the wisest packing choice. That’s where the hand-powered espresso maker comes in. Add virtually any kind of ground coffee you want, some hot water, and then use the piston to pump out a smooth, steamy espresso. The one from Wacaco is your best bet for a delicious cup of joe, anywhere you fancy. This handy little device is perfect to take on a camping trip. Set up the collapsible coffee drip over a mug, insert a coffee filter and grounds, pour in hot water, and voilà — fast, warm, and good drip coffee anywhere you want. This one from Snow Peak is lightweight and made from stainless steel, making it especially easy to pack away. For fans of pour-over coffee, these easy-to-use coffee bags are an essential travel item. Made with paper and filled with eight grams of single origin, specialty ground coffee, all you have to do is pour in hot water (you can gauge how much water you need for the coffee strength you like by using the measurement markings on the side of the bag), let it brew for five to seven minutes, and pour it out into a cup from the tiny attached spout. The bag can be even be reused several times. Grower’s Cup and Trader Joe’s each have some of the most highly-recommended coffee bags. 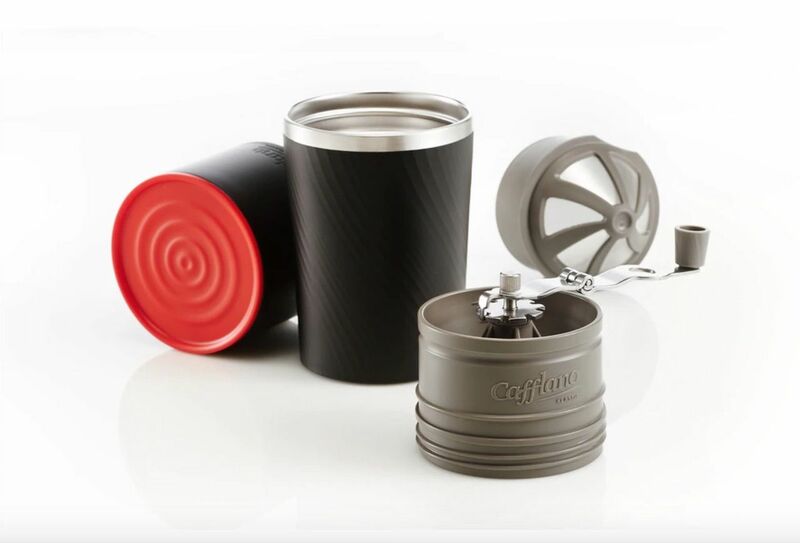 This coffee maker from Cafflano — cleverly designed to look like just a regular travel mug — has everything a die-hard coffee lover needs in case of an emergency. 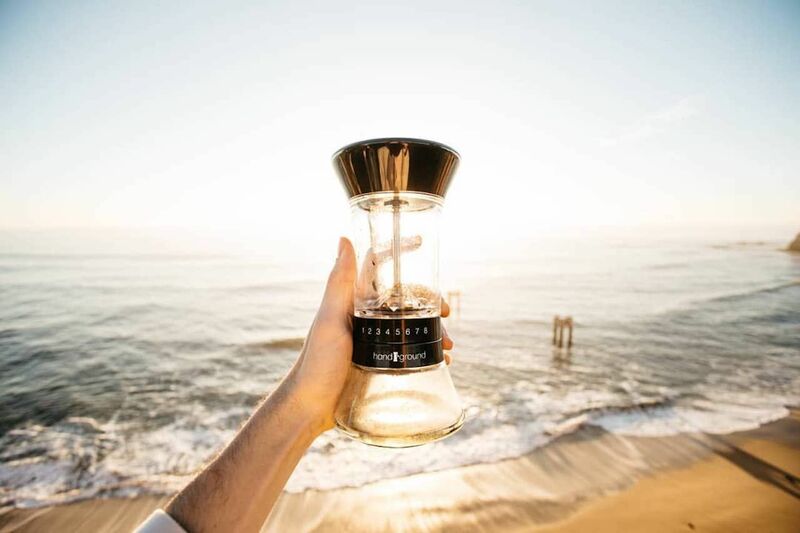 It comes with an insulated coffee mug, drip filter, miniature hand grinder, and drip kettle, and can make up to 160 ounces of coffee at a time. All the pieces are designed to fit together inside the larger mug so it’s easy to take on the road. As our baristas keep telling us, the best coffee is made from freshly ground beans, so taking along a small, manual grinder makes it easy to continue to enjoy the best coffee, wherever you are. The one from Handground comes with different setting levels, ranging from the coarse grind for an espresso to the finely-ground result needed for a pour-over, and it has a manual crank, so no electricity is needed. Pair this with an air-tight freshness container so you can grind enough for a few days and you’ll be sitting pretty on freshly ground coffee. 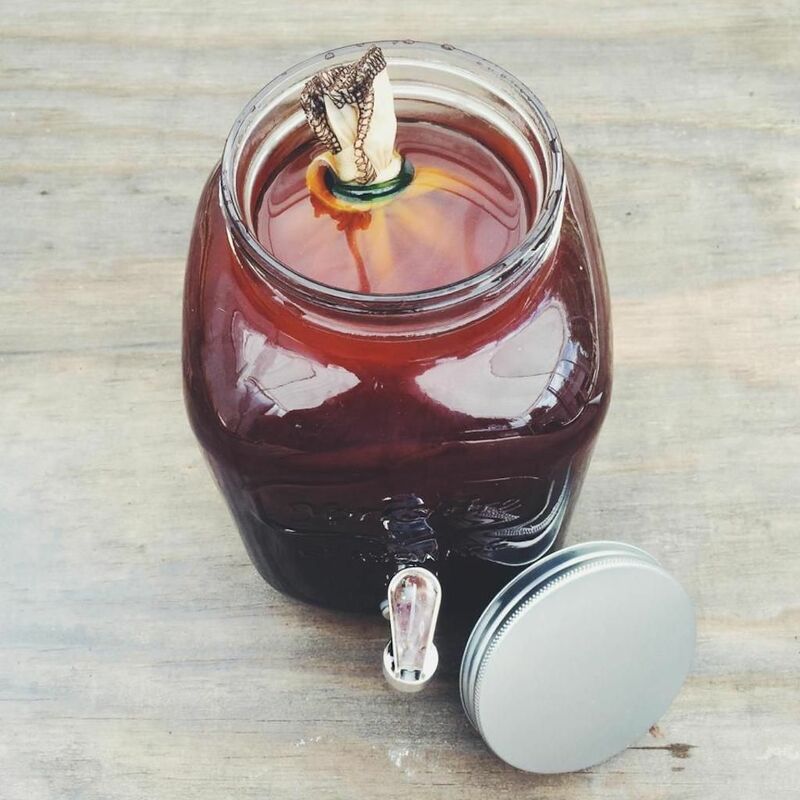 This cold brew kit, made by CoffeeSock, uses a reusable cloth filter that gives the coffee an extra crisp taste and it’s much more environmentally-friendly than single-use filters. It’s also very easy to use: add coffee grounds into the cloth filter, tie the top, and then let it soak in the accompanying mason jar in cold water until the coffee reaches desired strength. Simple and easy. 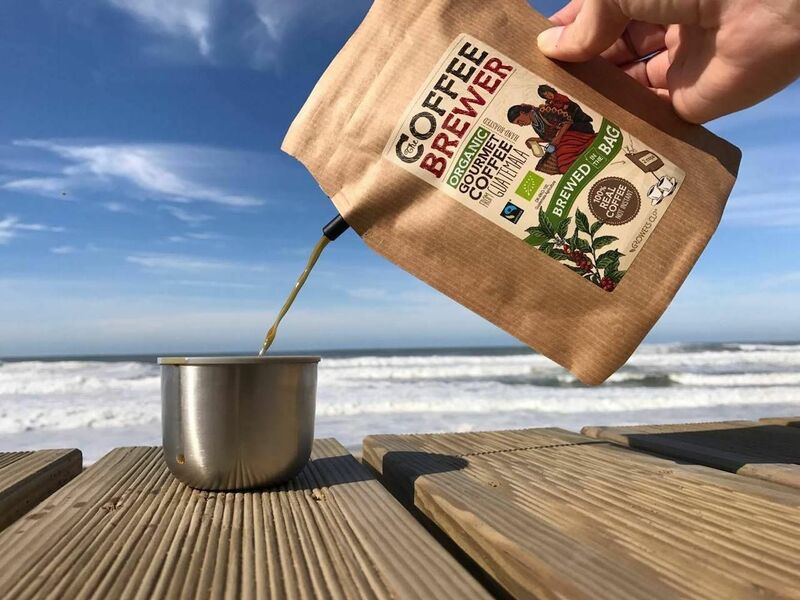 Note that CoffeeSock also makes regular, reusable coffee filters that you can combine with your collapsible coffee drip when on the road for maximum sustainability. 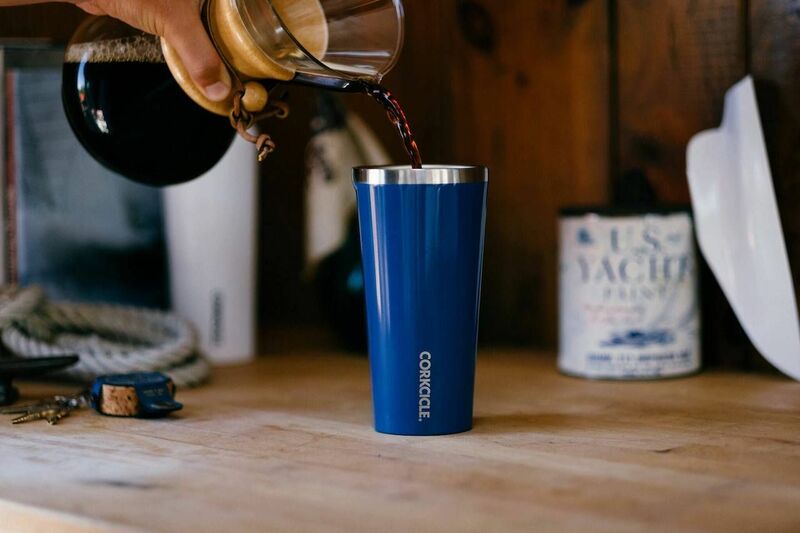 This travel mug from Corkcircle consistently gets top marks and it has earned them. 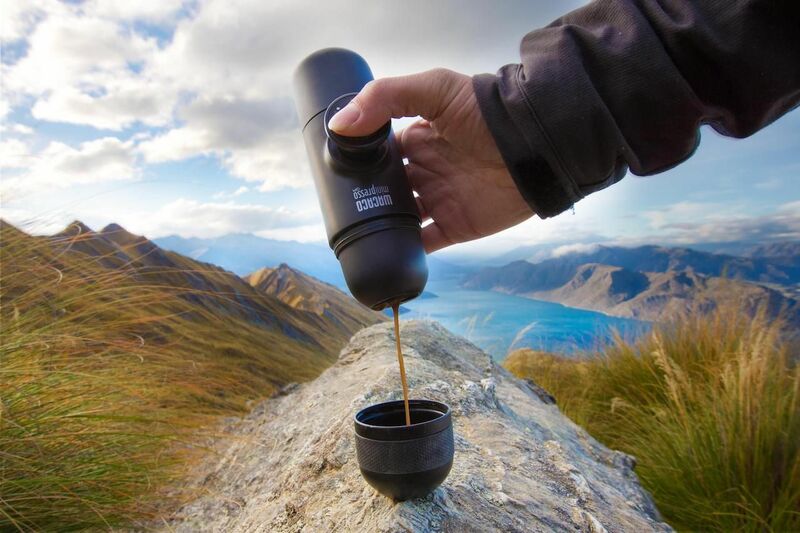 It can keep liquids hot for 25 hours and cold for 12; it has a leak-proof lid; it’s made from stainless steel so it doesn’t affect taste; it has a no-slip grip and base; it comes in three different sizes ranging from nine to 25 ounces; and it uses three layers of insulation so your hands don’t get too hot or cold. Not to mention that it has a really cool, refined look and comes in multiple colors. 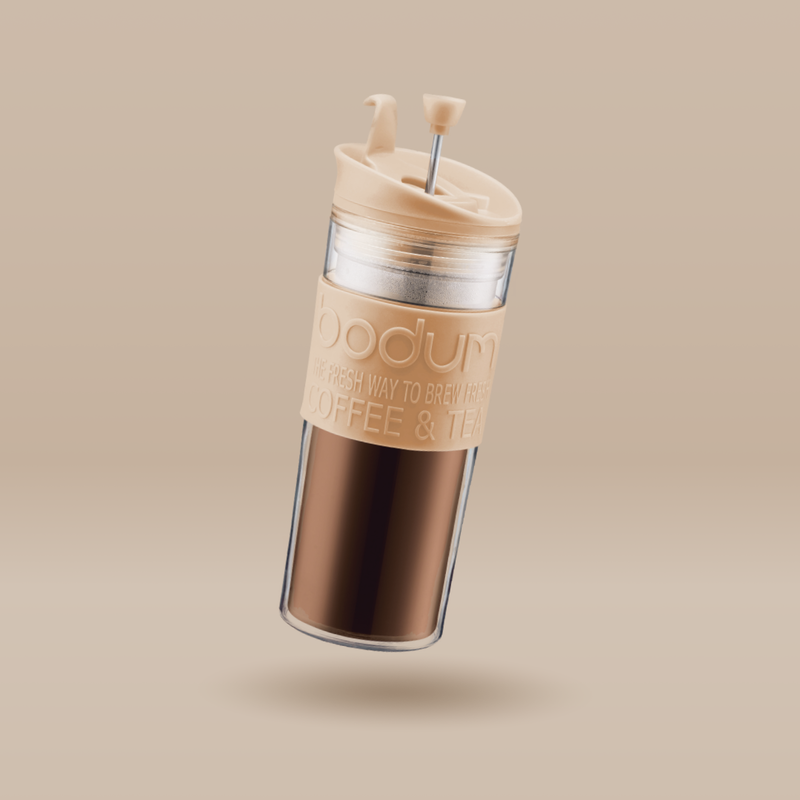 This travel press by Bodum comes in a chic chrome and silicon travel mug with a French press plunger installed inside, and the design prevents the grounds from leaking out into the coffee while drinking. The insulation can keep the coffee warm for several hours and it has a leak-proof lid.